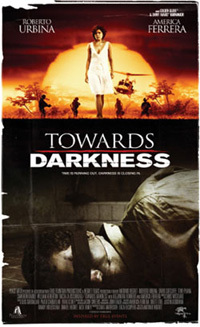 If you’re going to be in New York this weekend, come join us to see Towards Darkness on its opening night, Friday, March 14. We’ll be at the 9:40 p.m. showing at the Quad Cinema in Greenwich Village. Then we’ll be going out to celebrate. Let us know if you’d like to join us. The more, the merrier. We hope to see all you New Yorkers this weekend! The film is also coming out in Los Angeles, Irvine and Santa Fe next weekend, starting March 28. For more information, check out this previous post.